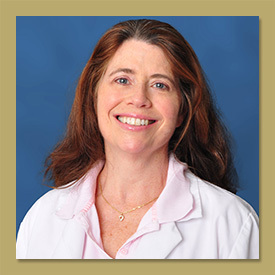 Dr. Anne L. Munro is a 1988 graduate of the NYS College of Veterinary Medicine at Cornell University. She has been practicing on Long Island since graduating. Dr. Munro attends continuing education seminars each year. Her specialty is apprehensive cats; she works well with all animals. Dr. Munro is married has two daughters, a Puggle, Max and 2 cats, Cupcake "Cuppie" and Small Bob. She is an active volunteer within her Community as well as at her daughters' school. She is an avid gardener. Dr. Munro looks forward to helping you with any of your pet concerns. Everyone at Baldwin Animal Hospital is FANTABULOUS!!!! They love my dog like he is there dog. And he's grumpy old dog at times, but they are very patient with him. I would recommend Baldwin Animal Hospital to any pet owner. You will be very satisfied with the care your furry friend will receive. I wish this was my doctors office! They are the most friendly and accommodating office. Always smiling and always giving great advice to new us new pet owners. Keep up the great work! I have been going to Baldwin Animal Hospital for years. The care that all of my dogs have received from Dr Saslow, Dr Munro and the entire staff has been loving, personal and exceptional. My dogs have been happy to go to the vet because they always get a loving welcome. I have had nothing but a GREAT experience at Baldwin Animal Hospital. Would recommend it to everyone who loves there fur babies. Veterinarians near Hempstead, Long Beach, Merrick, Oceanside, Point Lookout, Rockville Center, Bremerton, Freeport and Baldwin NY.